Michele has been a nurse injector in the beauty industry for over 15 years. The favorite thing about her job is developing relationships with clients and making them happy; helping them in any way she can. Michele has two wonderful girls, and two fur babies. She enjoys travelling , shopping, and also spending time with family and her pets. Candina draws upon over 13 years in the Esthetics industry, she began her career as a Laser technician working along side a Dermatologists. From this she gained valuable experience and eventuallybranched off on her own to do esthetics.After earning a diploma at the Esthetics European Institute of Esthetics, Candina continued her education and pursued extensive education in Lasers, chemical peels, anti-aging treatments, advance exfoliation techniques, dermaplaning, Microneeding& many other skin care treatments.After Candina received her education she started working at a local Spa and in 2014 accepted a position at Truebalance as a Laser Technician. Her passion and knowledge in the skincare/beauty industry ensures her amazing ability to mentor others at Truebalance. As a self-professed "beauty junkie" she continues to enjoy searching for the best in unique and "must have" beauty items and services. Kelly has been an esthetician and laser technician for almost 10 years. She started doing basic esthetics at a spa before doing medical and laser esthetics in a dermatologist’s office. In 2011 Kelly started at Novoderm, which became True Balance a short time later. She absolutely loves all of the services that she offers, but her true passion is for the more “invasive” medical laser treatments, where she has seen great results with both skin and body contouring treatments on clients. Kelly values the relationships that she has built with her clients, and is honest in the services and products that she recommends. Away from work, Kelly volunteers and fosters dogs for a rescue society. She has adopted two of the three of her dogs from this program. Kelly and her husband are planning to purchase an acreage to allow more room for fostering and training dogs. Since 2012, Gina has been a medical esthetician , working with light and lasers, chemical peels, microdermabrasion, facials, micro needling, radiofrequency and resurfacing treatments. Her most recent training includes microblading and esthetic services. Gina’s favorite part of being a medical esthetician is learning new and exciting services as well as helping clients with their concerns. Outside of work, Gina enjoys spending time with family and friends. Yoga, camping and snowboarding are some of her favorite activities. Summer’s passion for the beauty industry began 4.5 years ago. 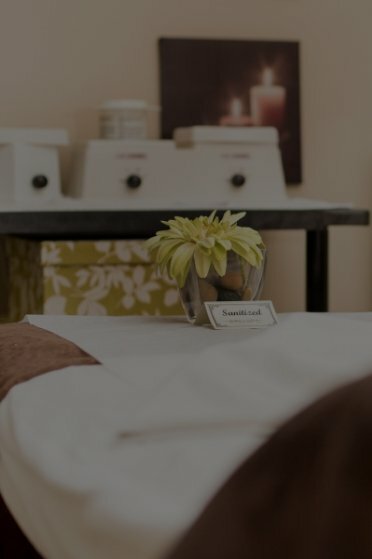 Being an esthetician and laser technician has allowed her lots of opportunities to continue skills in areas such as manicures, pedicures, waxing, facials, peels, microdermabrasion, electrolysis and laser. The best part of her job is meeting new people and building relationships with her clients. Summer enjoys helping clients feel great about themselves and confident in their own skin. On her free time she likes to go on road trips with her fiancé and pet chihuahua. Summer loves being outdoors to camp, visit the mountains, and beaches. She also loves visiting family and friends in her hometown of Cranbrook, BC. Nikki has been an esthetician for 15 years and hasworkedat True Balance for the past 5 years. For Nikki, being an esthetician gives her an opportunity to work in a relaxing environment while also offering a variety of services to help people feel their best. 8 years ago Nikki moved here from England with her family. She enjoys the Canadian life as her passion for the outdoors and animals is spent with hiking and camping. Kylyn has been with True Balance for over a year now. She feels very fortunate to work in an industry where she can help her clients feel better about themselves inside and out. For Kylyn it is very rewarding to be able to help a client fully relax with a service or help them feel better about a certain insecurity they may have. Kylyn is a mother of three, with two girls and a boy. She loves to be outdoors as much as possible whether it be camping, quading, or going for walks with the kids. Amanda completed schooling for esthetics in 2009, but knew it would become her career after taking cosmetology in high school. She loves helping people feel their best and giving them a boost in self-confidence. Amanda has three children and absolutely loves being a mom! Currently, Amanda is the Intake Coordinator as well as an Esthetician for Truebalance. Although she has only been with the clinic a short time, she has really been loving her work. Lauren found a true passion for the health and beauty industry early on. Growing up in the “iGeneration”, google and YouTube sparked curiosity, which has allowed her to dive into research before graduating as a certified esthetician and laser technician. Her desire to help others become the best versions of themselves began with personal challenges combatting complex health, skin and hair growth issues. Lauren is passionate about the growing beauty industry where advanced technologies and innovative procedures offer extreme results for both male and female clients. Her other talents and interests include a background in music. She has co-written, recorded, and toured as a musician and vocalist with a country recording artist, while also bringing her own debut release to life. Annette has been an RMT for 16 years and has training in traditional Swedish Massage, Stamina Orthopedic Massage, and Reiki. She primarily focuses on therapeutic orthopedic massage using a combination of active resisted muscle testing and targeted massage techniques for acute and chronic pain relief and increased mobility. For relaxation massages Annette often incorporates Thai Reflexology techniques and Aromatherapy. She can also incorporate Reiki with any treatment. Outside of work Annette enjoys keeping an active life with family and friends doing activities or sports, loves nutrition, cooking and gardening, yoga, and guided meditations for relaxation. Laurel has been at True Balance since the day the Queen Street location opened. She has lived in the Spruce Grove area for about 30 years. Laurel loves working with our amazing clients as well as our caring staff. Robbyn has been a registered massage therapist since 2007. She loves helping her clients feel their best. One of her favorite and most helpful courses was Mr. Gary Schweitzer’s “Schweitzer’s Deep Tissue” course. Robbyn is able to give clients deep therapeutic massage while maintaining a high degree of safety and efficiency for herself. She has worked in a spa setting as well as a very busy chiropractic clinic for over 7 years. Robbyn enjoys living a very healthy lifestyle with her 13 year old son and dog. Camping during the summer months with family is one of her favorite things. Debbie has loved working as a receptionist at True Balance for 10 years, where she is able to share her passion for customer service. It has always been important to Debbie to reflect the love of her job to all our clients, and to make their experience memorable, and something that they will want their friends to experience as well. Over the years, Debbie has built beautiful relationships with these clients and they trust the advice that she is able to give, based on her personal experience. Debbie enjoys hosting events for the spa, creating displays and bringing in beautiful accessories and fashions for clients to enjoy in our True Boutique. Debbie lives on a farm close to Spruce Grove, that has been in her family for 5 generations. For Debbie, living in the area her whole live has enabled her to share her experience with others while also watching True Balance grow in the community. Being apart of the reception team, Sandi has enjoyed greeting and serving clients for 8 years. Her background is in long term and palliative care. Sandi became a primary care giver for an ailing family member and eventually transitioned into coaching BHRT for 5 of those years. Sandi loves assisting our patients on their journey to healthy aging, and offering support with hormone balancing, stress reduction and increased wellbeing. Working at Truebalance has allowed Sandi to meet many people and develop great relationships, both with our fantastic clients and coworkers that are like family. Outside of work Sandi valuesfamily time, and enjoys reading, gardening and yoga. Haylee hasworked with True Balance for nearly one year, but has been in customer service for 15 years. She loves the staff here at Truebalance! Haylee has loved building relationships with all the clients and helping them to find their “True Balance”. Apart from work, Haylee feels very blessed to have wonderful friends, family and loved ones which she enjoys spending time with outside of work.6 years ago she moved here from New Brunswick, and has made herself a family and “home away from home”, however, she does look forward to visits back home on the East Coast. Abigail has been with True Balance as a receptionist for about 3 years. She is currently attending Concordia University and working towards an Education Degree. Over the years at Truebalance her favorite part has been creating friendships with both co-workers and clients. Kendra has been a part of the True Balance family for over 2 years. She has greatly enjoyed working with clients and establishing relationships with both the staff and customers. Kendra has especially loved gaining knowledge in products and the wide variety of services done at Truebalance. Kendra is currently attending the University of Alberta, and will graduate in May 2019 with a Bachelor of Arts in History. In her spare time she loves to read, spend time with family and visit her grandmother.